During my 2013 media review, I was surprised to learn that 95% of all news stories were generated by seven companies. The vast majority of the viewers tuned in through outlets owned by the News Corporation, NBC Universal, and Time Warner. This is a bit disconcerting; as three companies decided what news events the public learned about and how that news would be presented. I’m not suggesting that these three companies had a conspiracy plan in place to bias the news and swing the public to their views, but I am suggesting that the limited perspective is biased. Since the news is a genre within the television industry, it is constrained by the parameters established within the arts and sciences of its production values. Simplified, television “is the act of transmitting information, ideas, and attitudes from one person to another.” The person sending the message may or may not take a significant amount of time to mold or plan his or her message prior to it being sent. Some times, like in the case of fast-breaking television news broadcasts, there is very little time to prepare the messages, let alone developing liberal angles for its presentation. The result is off the cuff news presentations as the information trickles in a little bit at a time, as was the case on September 11, 2001. The first reporter I heard on that historic day suggested that up to 50,000 people might have been killed in the World Trade Center towers. Once more detail became available, the report was corrected to suggest that on any one given day there are approximately 30,000 people present in the towers. Within a couple of hours the report suggested that many individuals were evacuated, leaving about 6,000 in the towers’ remains. Days later, the number of individuals lost at ground zero dropped to around 4,000. A few weeks later, the final count of those who died in the attack on the World Trade Center was 3,016 people. Since then, the New York magazine puts the number killed in the attacks at 2,753. 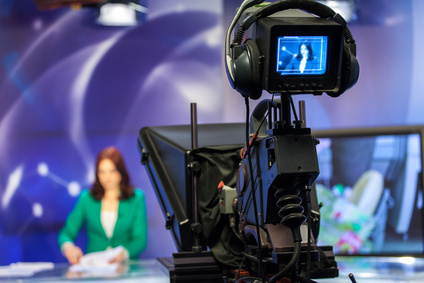 Regardless of the slow stream of facts entering the newsroom, the reporter needs to continually fill time during a live broadcast in a professional manner. To accomplish this the newscaster must think quickly and come up with words off the top of his or her head. Since the best way of doing this is by drawing from experience, many comments will reflect his or her biased slant. Personal vocabularies and biases are readily drawn on to keep the pace of the news flowing to the public. This natural occurrence establishes what the viewer will perceive as “normal.” Since the viewers readily accept the media’s comments, the media becomes the decision maker of what is considered normal for our society. I remember a psychology professor from my college days that continually challenged my perception of what was considered normal by our society. He shared what I understood to be the most outrageous liberal ideas I had ever heard. He even presented a bold stance by suggesting that each of his statements would become commonly acceptable in my lifetime. Years later, my professor’s concept of normality had arrived. Men had come out of the closet, heavy metal music was released, Pro-Choice made abortions more easily assessable, and Disney released its first R-rated film (Down and Out in Beverly Hills 1986). Changes in our societal views of normality will continue to evolve over time as it has in the past. And since “mass communications provides the very fabric with which our lives are ordered,” it is important that we understand what the media says is normal. The newscasters I’ve met believe they are normal people living in the mainstream of life. Their job is to simply inform viewers of the day’s events so we can make appropriate decisions as needed. But are they actually balanced people living normal lives? I think not. When I was a director at WXOW-TV (ABC affiliate), I watched our lead news anchor receive perks when he ate at restaurants in town. Many times he complained about being in front of the camera and its curse of being a party waiting to happen the moment he entered a bar. People would flock to his familiar face and make unbelievable offers for favors or autographs. After hearing more stories than I care to admit, I realized that he didn’t have a clue what a normal life was all about. And yet, his viewers continued to welcome his perspectives into their homes every night when they turned on the news. He received calls, letters, and comments from people walking on the streets thanking him. Some would go a step further and comment on how much they trusted him. This makes our job of protecting our families more difficult. We have to learn how to discern the reporter’s natural biases and blatant ones, separate from a balanced factual perspective. It would be much simpler if newscasters could truly be unbiased, or present both full sides of a story. But since they can’t, its up to each of us to learn how to discern the truth. I’ll share some viewing techniques in Wednesday’s blog that will help us find the balanced perspective, while protecting our families from being mislead by the media. Bernard Goldberg, Bias (Washington, DC: Regnery Publishing, Inc., 2002), p. 13. Warren K. Agee and others, Introduction To Mass Communications (New York: Harper & Row, 19?? ), p. 4. Such a great, unbiased perspective of the media, well put CJ! I look forward to Wednesdays read! Thanks, Francine. One of my passions in life is to help families understand and protect themselves from the undesirable messages in the media. It’s also my hope that those same tools will be used by people to communicate messages of hope in their communities.